Thinking about how to absorb the stillness of Gladstone’s Library as I travel on. I find myself excited that you are going back to La Muse, almost as if I am off on holiday myself! These travelling podcasts are so interesting and enjoyable. Thanks La Mole! Yes, I was able to engage with you today. 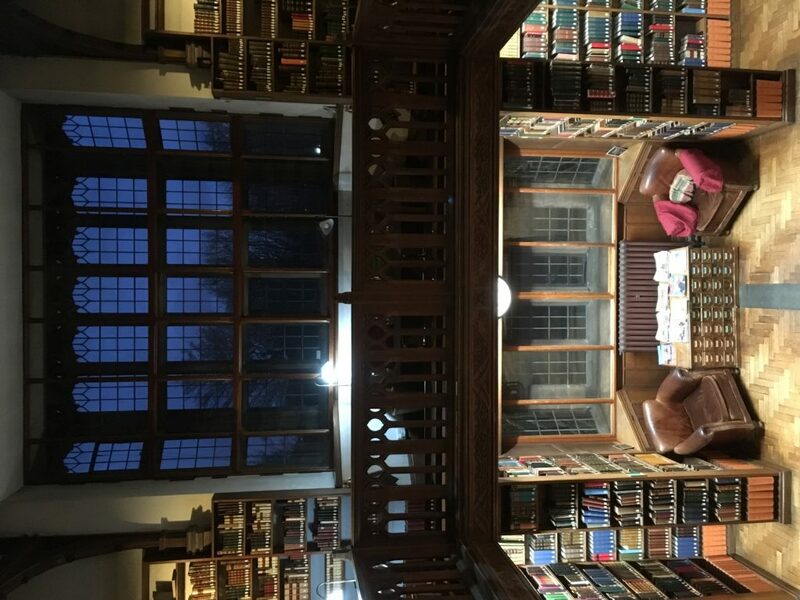 Reflecting on Gladstone’s library and the still ness you enjoyed. I feel very lonely today as have come to my usual venue to meet others and no one has turned up. It’s not my favourite place in the world and to be honest my insides are starting to thump again. So taking a moment to tune into you is delightful. They do make the best coffee here at Cliffs and import it from around the world. I shall take a picture of the sacks in a minute which I forgot to do last week. You sound happy travelling alone and of course my situation is different as I was expecting others. I’m astonished that Gladstone read so much…also plan to pick up my diary writing which for some reason I put aside as life is not at its best at the moment. So very glad to tune into your voice and thoughts. Safe flight and look forward to hearing about France. Love and best wishes, Denise.